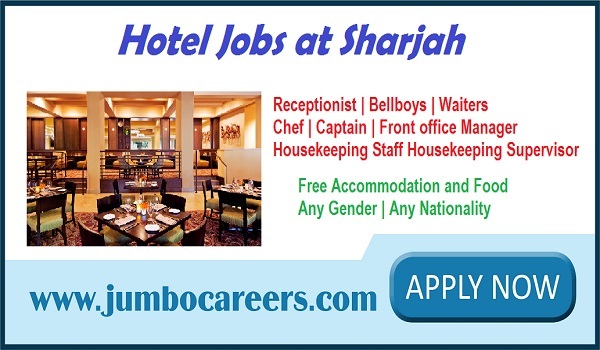 An upcoming star hotel project in Sharjah requires Staff. Its a recruitment through a job consultancy and not a direct recruitment. Vacancies include receptionist, bell boys, Waiters, Chef, captain front Office manager, Housekeeping supervisor. Benefits include attractive salary & free accommodation and food. Candidates with UAE experience is given preference.